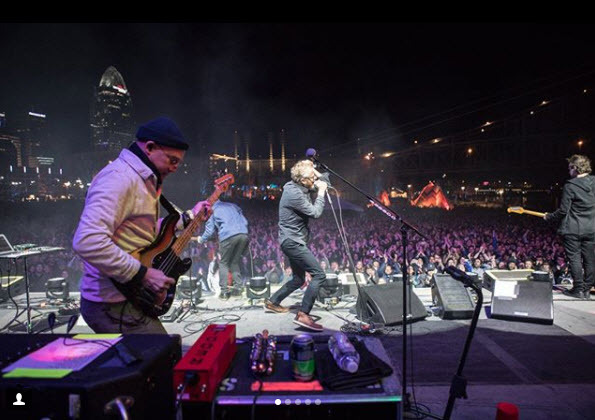 Five kids who grew up in Cincinnati (twin brothers from one family, two brothers from another family, and one other dude) and played in various local bands, joined forces in Brooklyn nearly 20 years ago and formed a new band called The National. 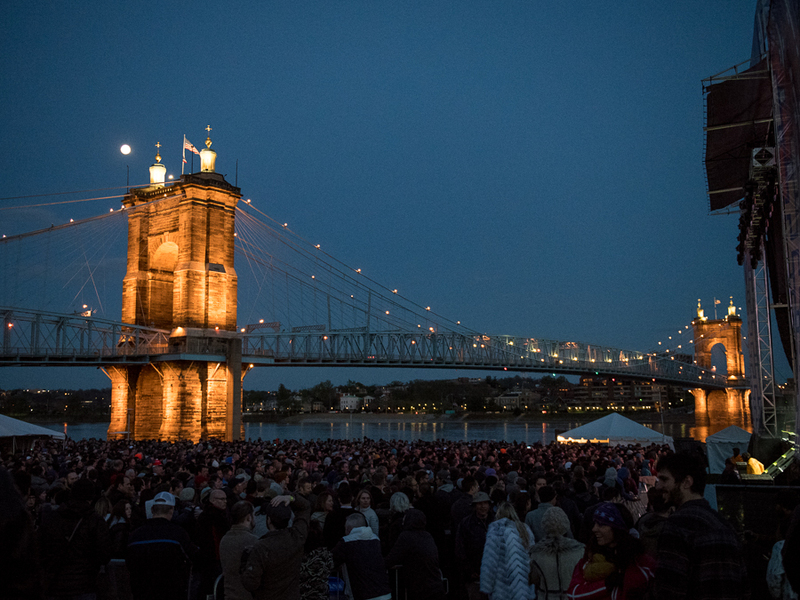 This past weekend, they staged a “Homecoming” music festival on the banks of the Ohio, in downtown Cincinnati. 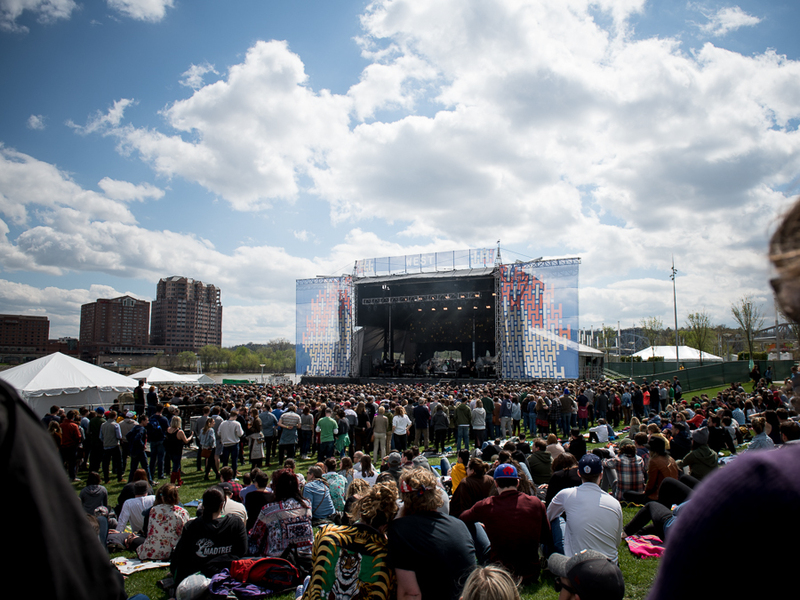 10,000 folks showed up both days, in glorious weather, to see several great artists. 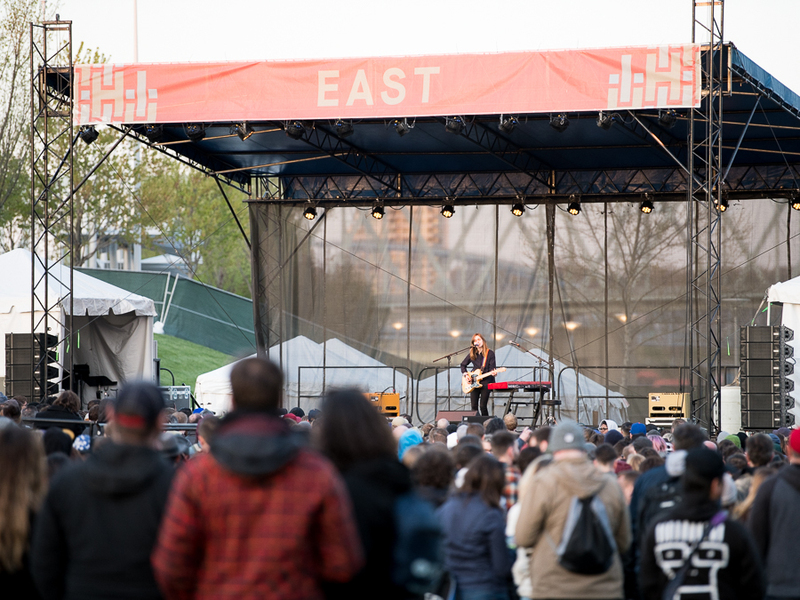 Both nights were capped by a headlining set from The National, under the light of the moon. Allow me to introduce you to “Hippie Bob.” He was a gig buddy of mine back in the day. I’ve gone to hundreds of concerts in my lifetime (I know, hard to believe from someone who blogs about music every other day). Because I like “weirdo” bands, the crowds are usually smaller, and you wind up seeing the same familiar faces, concert after concert. That’s how I met “Hippie Bob.” After seeing each other at several shows, we finally introduced ourselves to each other. At that time (circa late 90s), Bob was nearing retirement from his 30-year career as a photography teacher at a local high school. I called him “Hippie Bob” because he was clearly a product of that era, with his long ponytail, tie-dyed shirts and his turquoise jewelry. But he was also a great guy, soft-spoken, kindhearted, funny. A good dude to hang out with at shows. We never hung out socially outside of concerts. I never even knew Bob’s last name. But if you drew a Venn diagram of my musical tastes and Bob’s, there would be a 90% overlap. A = punk banks like Superchunk. C = old school folkies like Peter Rowan. 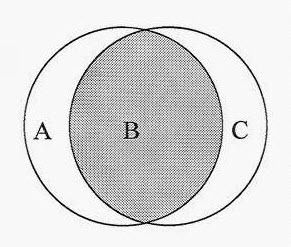 B = millions of great bands. Once kids came along, I got to less concerts, but invariably Hippie Bob would be at most of them. The last time I saw him at a concert was probably a decade ago, and his health wasn’t the best. I don’t even know if he’s still with us. Allow me to introduce you to Lauren Fisher. She’s a creative, specializing in motion graphics and animation. Yes, I only knew Hippie Bob as an super-cool older dude who liked good music. But over his 30-year career, Bob influenced so many kids, imbuing them with a love of photography in particular, and the arts in general. 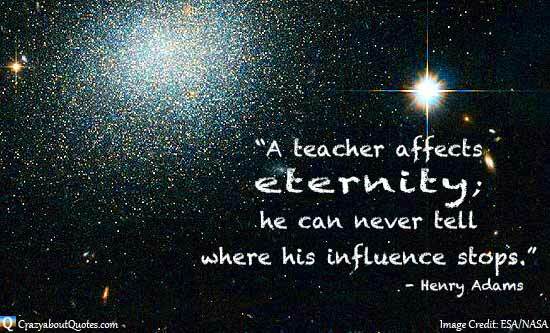 They say teachers change lives, and I’ve always believed that to be true. But it really hit home in a tangible, visceral way yesterday. 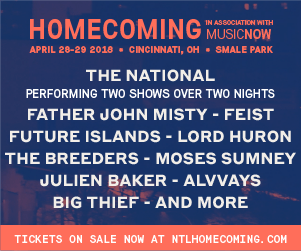 Today I’m going to an all-day music festival. I’m going tomorrow too. It’s a bunch of weirdo bands, of course. I doubt I’ll run into Hippie Bob, but I have no doubt that dozens of his proteges will be there. So I know he’s still with us. 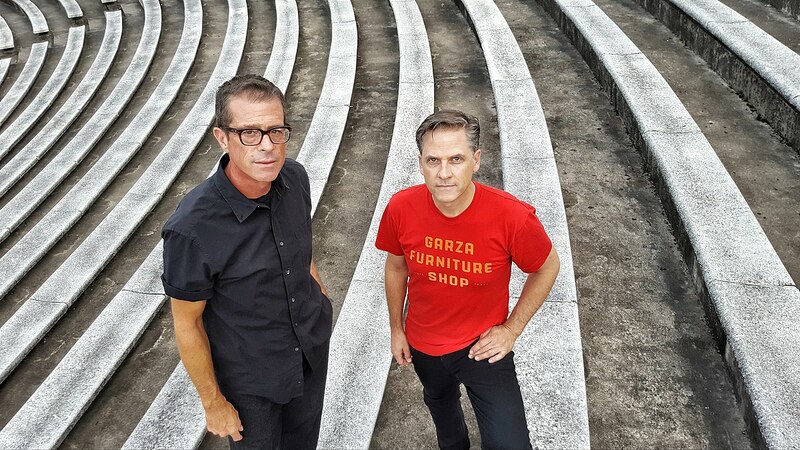 I saw Calexico in concert last night, at the Woodward Theater in Cincinnati. They’re a Tucson, Arizona band and don’t come through these parts too often, so I was willing to stay up late on a “school night” to catch them, and I’m sure glad I did. Seven dudes up on stage, most playing multiple instruments — including trumpets and xylophone — during the course of the set. In other words, they sound like no other band around, in the best possible way. I’m sure that’s a curse for album sales, but it’s a blessing in a live setting. Lead singer Joey Burns and drummer John Convertino have been together since 1990, when they played in Giant Sand. 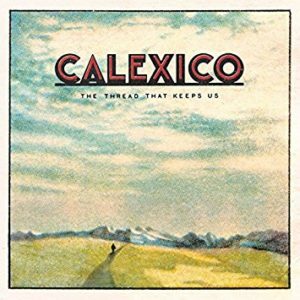 They formed Calexico in ’95. Those decades of working together really show – they’re the musical version of a married couple who can complete each other’s sentences. Calexico’s new album is The Thread That Keeps Us. You can listen to every track on this playlist. One song is below. Happy listening! It was the 70s. 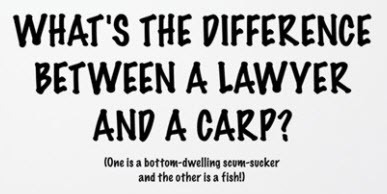 ‘Nuff said. A perennial performer on ABC’s Wide World of Sports. 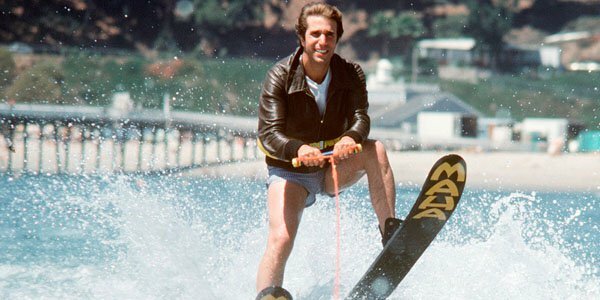 Jumping fountains, jumping buses, jumping a pool of sharks before Fonzie did. Before Bodyglove wetsuits existed, people often wore their leather jackets in the ocean. 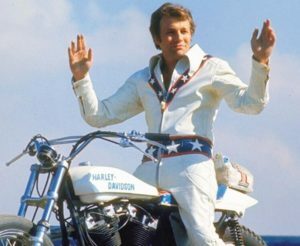 Evel was all the rage, and so were his toys. Naturally my brother and I would attempt to emulate Evel. Usually that involved setting up a piece of plywood on a log as a makeshift ramp and attempting to jump over some obstacle on our Schwinn bikes with slick back tires and banana seats. 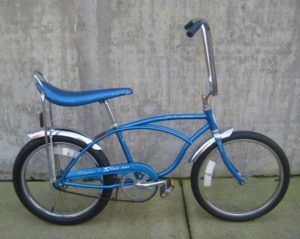 But once we just decided to try a long jump – sans bicycles – in our living room. We marked out a launch line and would track our landing spots, trying to jump a bit farther with each attempt (and probably making motorcycle “vroom-vroom” sounds with every launch). On my final attempt (and the reason it was final will become perfectly clear by the end of this sentence), I set a new record… but in true homage to my hero Evel, I got a bit wobbly on the landing, stumbled, lost my balance, and tried to stop my fall… by putting my hand through one of the panes in a living room window. Luckily, my hand came out unscathed. 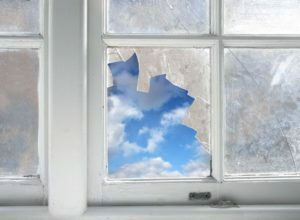 But the window wasn’t as lucky. 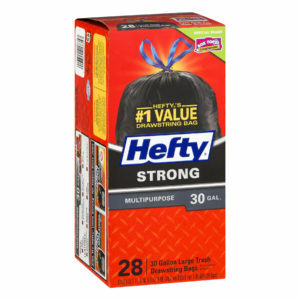 Because my father wasn’t much of a handyman and our meager household budget didn’t have room for repairs, we just thumbtacked a Hefty garbage bag over the missing windowpane. That damn garbage bag was up for years, a constant reminder of my failed stuntman career. 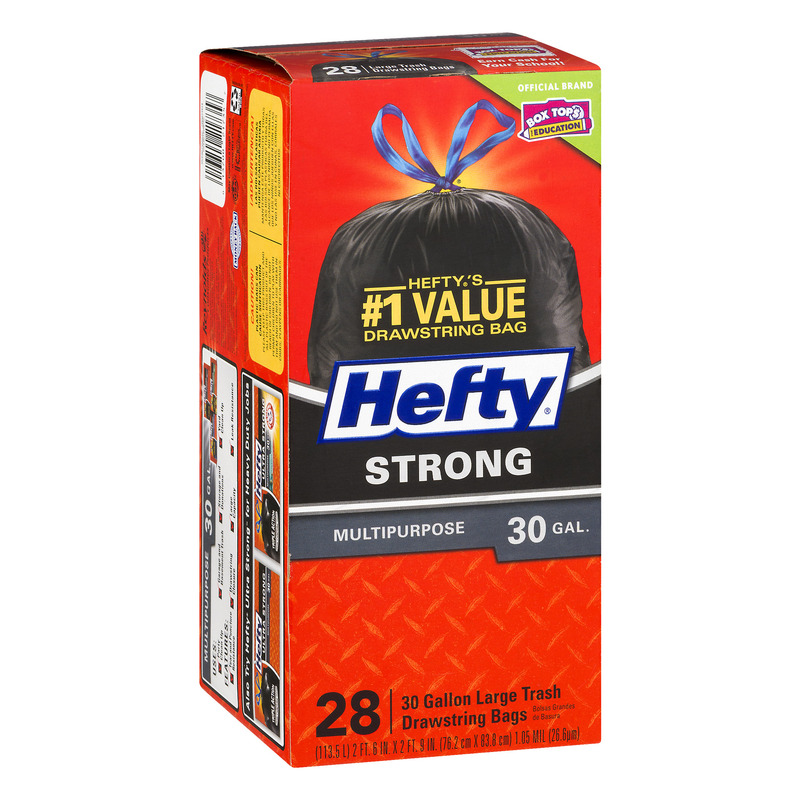 Which is why I force my kids to take out the trash… the Cinch-Sak memories are simply too painful. Why do you taunt me so? On a brighter note, a few decades later, I stumbled again… but this time it was stumbling across a true gem of an album. If you ever see this album at a flea market, buy it! 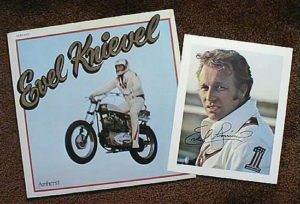 It has excerpts of Evel interviews prior to the ill-fated Snake River Jump, and even a song sung by Evel himself (and I’m using the term “sung” very liberally). The album wraps up with this lovely ballad (and by “lovely” I mean “cheesier than a pound of Swiss”). There’s something deep inside him, lusting for the thrills that drive him. Yet he knows someday he’s gonna have to face that canyon in the sky. I miss you, Evel. The world needs more risk-takers like you. 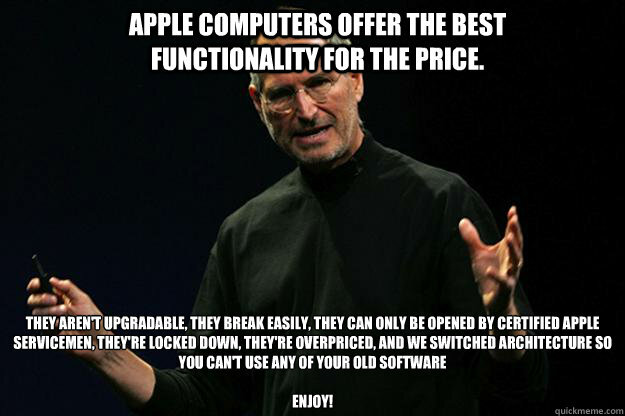 And stronger windows. For the stoner set, today’s an “earth day” of sorts. The idea for a national day to focus on the environment came to Earth Day founder Gaylord Nelson, then a U.S. Senator from Wisconsin, after witnessing the ravages of the 1969 massive oil spill in Santa Barbara, California. Inspired by the student anti-war movement, he realized that if he could infuse that energy with an emerging public consciousness about air and water pollution, it would force environmental protection onto the national political agenda. Wow, that’s powerful stuff! Can you imagine anything uniting such disparate groups today? In some ways, it’s depressing to see where we are… it feels like we’re regressing. 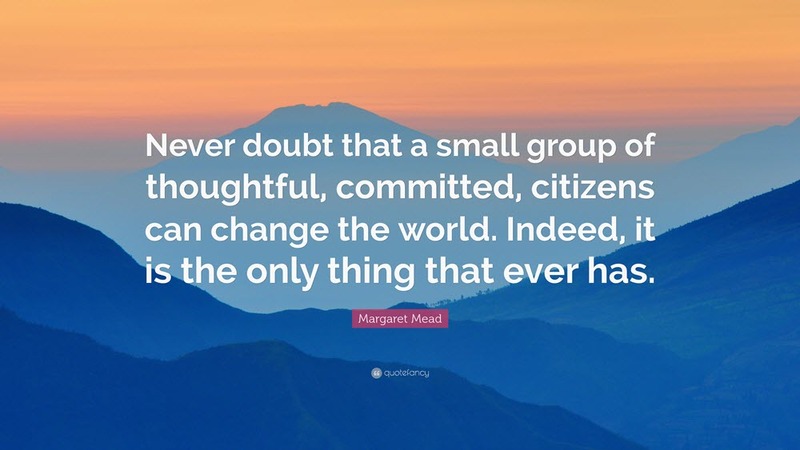 On the other hand, it’s energizing to know that amazing things can happen on a global scale thanks to the efforts of a tiny team of dedicated folks. and what are we doing to her? Help! My 14-year-old daughter and my 12-year-old son have joined a cult. I’ve tried to rescue them, but they’ve been brainwashed. No matter how much I try to reason with them, they won’t budge. 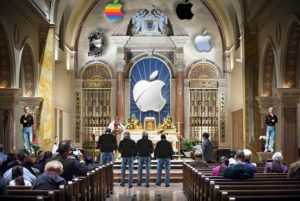 I’ll have to resign myself to the fact that they are… (sob)… Apple worshippers. 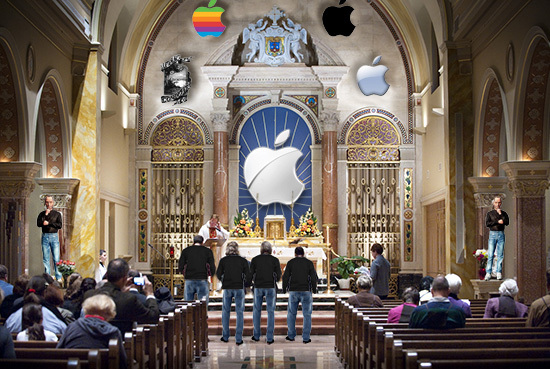 They’re bowing their heads out of reverence… or maybe they’re just checking their phones. My son’s hand-me-down iPhone 5 gave up the ghost a few days ago. 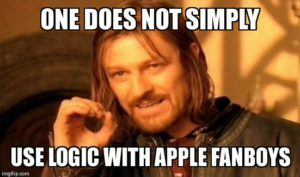 We made the mistake of taking it to the Apple Store to see if they could fix it… at a mall… on a Saturday… without an appointment. I thought we were going to a store, but clearly we wound up in the 7th circle of hell. Never before have I seen such a mass of humanity transfixed by bright, shiny objects, drawn like moths to a flame. 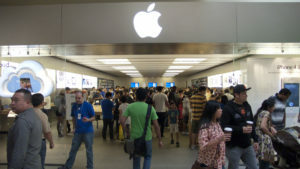 You would think they were giving out free ice cream and puppies, instead of charging people $1000 for phones that will crap out in 19 months, and $2000 for laptops will be obsolete before you get home. Somehow I managed to elude the tablet-toting army of green-shirted minions, trying to trick me into spending a mortgage payment on a phone. (You think you’re pulling one over on me with your lack of cash registers, but I’m onto your devious “seamless transaction” plan!) As a cheapskate parent, I tried to talk my son into using a discarded Android phone from our basement mobile phone graveyard. But no, that simply won’t do. 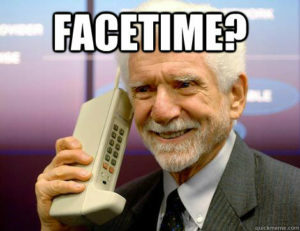 He wouldn’t be able to FaceTime with his friends… which is the modern-day equivalent of actually talking face-to-face with your friends. When I started looking at refurb iPhone 6 models online, my daughter hit the roof, because her 6 is also a hand-me-down (thanks Cousin Brian the tech junkie) and SHE deserves an upgrade, not him! (She would make a great scorekeeper.) And even though, according to my kids, the lowly 6 should be relegated to a museum of ancient history, a friggin’ refurb is still nearly $300. 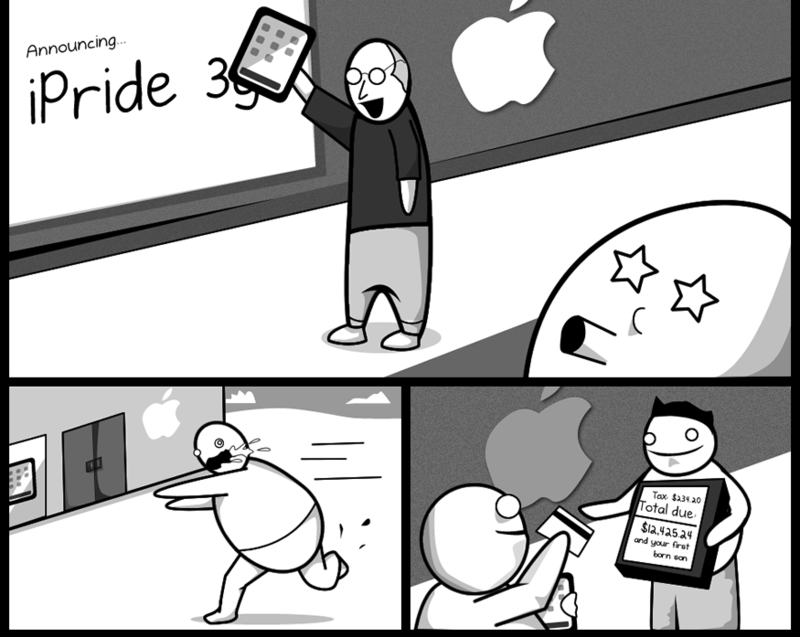 I got my brand new Android for half that. I don’t get it. 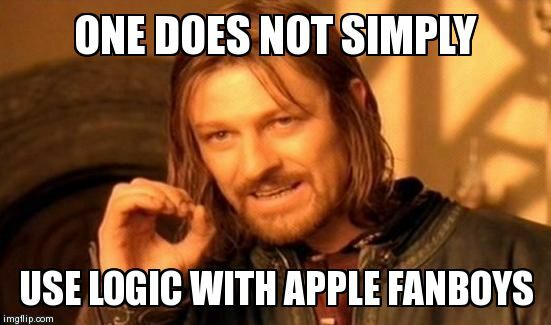 As a fan of zigging when everyone else is zagging, I’m not on the Steve Jobs bandwagon. 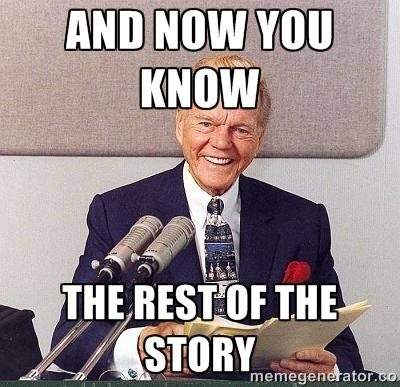 And I believe that an open development platform (e.g. 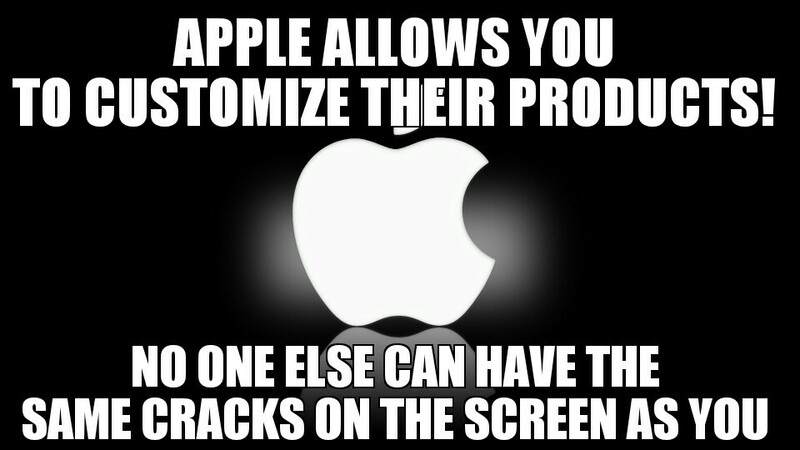 Android) will always win out over a closed system (looking at you, iTunes, iPods, iPads, i-whatever). Seth Godin said it best (as usual): Apple has become a fashion brand, a status symbol… nothing more. 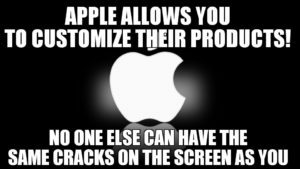 They can charge a premium not because their products are better, but because the name has cachet. My designer friends (that is, friends who are graphic designers… I’m not buddies with Ralph Lauren) will vehemently disagree, but I will not be swayed by their arguments, even if they create a visually stunning infographic and show it to me on a retina display. So, in summary, I’m starting a Kickstarter for my kids’ upgraded phones. You can contribute at www.DadIsBrokeAgain.com. My college buddy Walter has led a very Forrest Gump-like life. When he was a wee lad, his parents were friends and neighbors with Tom Cruise’s parents, and Walt has a picture of Tom attending one of his childhood birthday parties. As a high school senior, Walter somehow wound up in the opening scene of the movie Stripes, as one of the kids who stiffs Bill Murray on the cab fare (Walt’s the one who gets in first). Walt went to Trinity High School in Louisville, Kentucky, and one of his classmates was Darryl Isaacs. Later both of them were roommates at University of Kentucky Law School. I met Darryl (a.k.a. “Big D”) back then, when I was visiting Walter for the weekend. 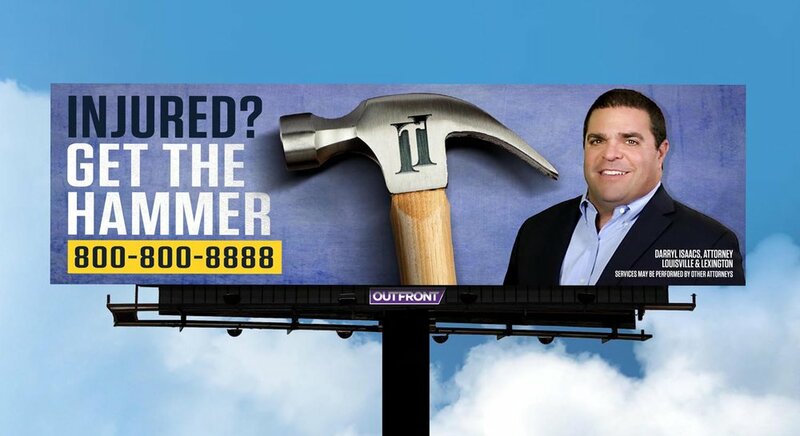 Darryl doesn’t go by “Big D” anymore… now he’s known as the “Kentucky Hammer” or “The Hammer” or the “Heavy Hitter” and he’s the prototypical “flood the market with advertising” personal injury lawyer (sometimes referred to as “ambulance chasers.”) I drove our oldest son from Cincinnati to Purdue University yesterday for a campus visit. 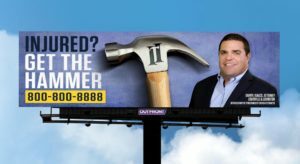 We were on the interstate in Indiana for roughly 300 miles round trip, and I spotted at least 20 billboards for Darryl. Some were within 100 yards of each other on opposite sides of the road. Art doesn’t always hang on walls. Sometimes it IS the walls. Or the lack thereof. An acquaintance of mine, Mark deJong, has an exhibit opening this Friday at the Contemporary Arts Center in Cincinnati. 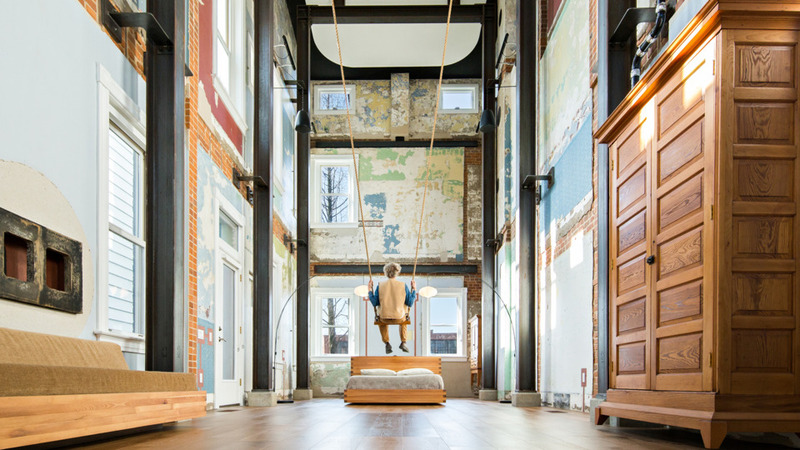 The exhibit at the CAC is called Swing House, because Mark didn’t just renovate a nearly-condemned 1880s house in a downtrodden neighborhood near downtown… he reimagined it. 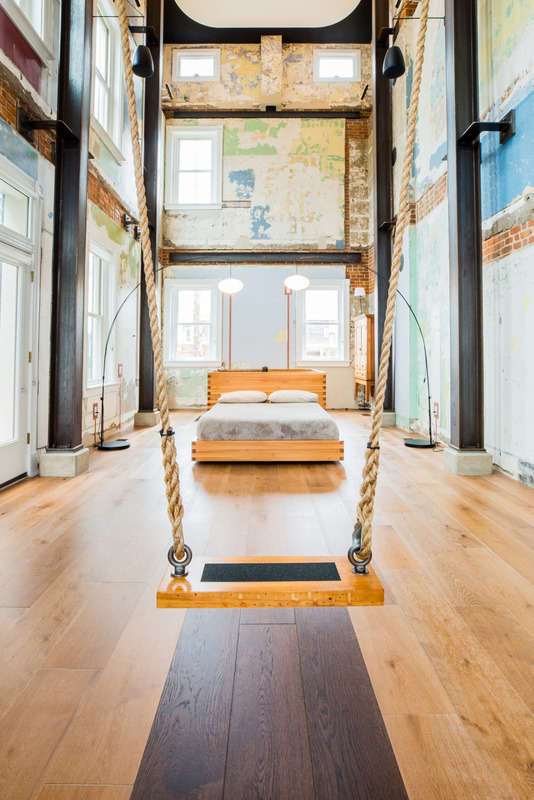 He took out all the interior walls and middle floors in the narrow three-story building, and installed a 30-foot swing from the ceiling. I know Mark via my friend Phil. Phil organizes a late night bike ride every month on the night of the full moon… it’s called the “Fool Moon Ride” because a bunch of foolish middle-aged men ride 10 miles to an undisclosed location along the banks of the Little Miami River, build a fire, enjoy some adult beverages and tasty food, then ride back. Mark and I have been on several of those rides together. There are definitely some very interesting conversations that happen in the wee hours, and Mark has always been one of the more intriguing dudes there, as well as being one of the nicest folks you’ll ever meet. 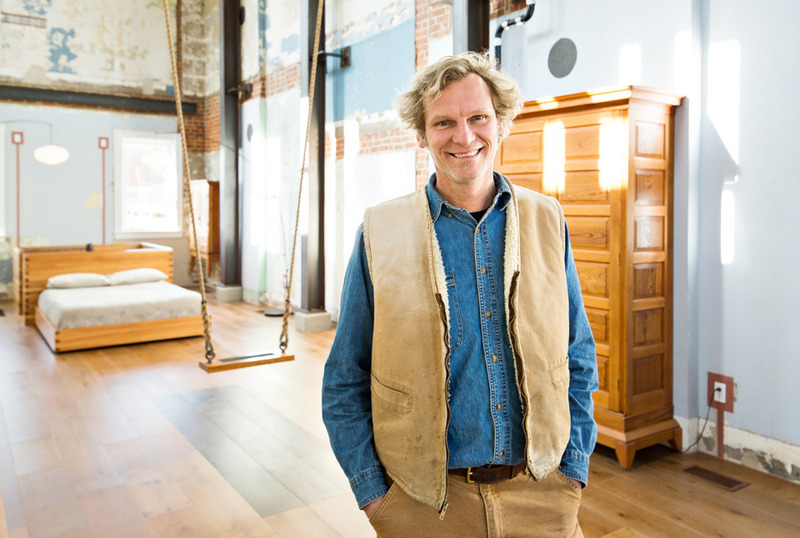 Swing House isn’t his first “houses as art” project. 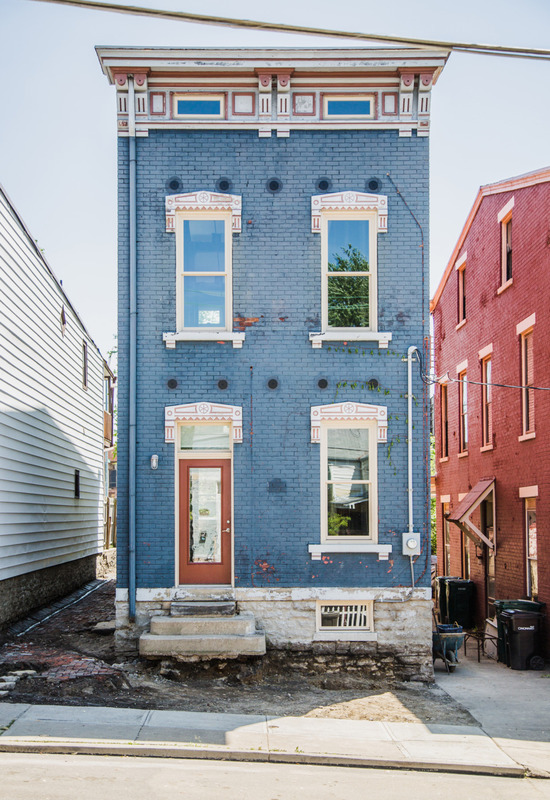 Several years ago, he bought an 1895 house for $5,000 and restored it, calling it Circle House. He’s also done a Square House. He uses old houses the way other artists use canvas. This may be Mark’s first full-fledged exhibit, but he’s been making artful work for years now. It doesn’t have to be watercolors or clay – it can be plaster and saws, hammer and nails. Too often, we regard the term “artist” as something reserved for an elite and “gifted” group. But if you work with your hands and create something, you’re an artist. We all are, each in our own way. Don’t let other people’s judgments or societal norms get in the way of your vision. Do what you do… share your gifts… and swing, baby, swing! We send our kids to school in the morning, and they come home in the afternoon. That’s how it works. Until it doesn’t. Kyle Plush went to school on Tuesday morning. He never came home. He was supposed to play his first tennis match that afternoon, and as he was reaching over the third row bench seat of his 2004 Honda Odyssey to get his tennis gear, the seat flipped and he got trapped. The emergency system let him down. Even though he wasn’t able to reach his phone, he used Siri to call 911. Twice. While they were in the parking lot, Kyle was making his second 911 call. In that second call, Kyle gave more details of the van he was trapped in, including its color, make and model. That information was never relayed to officers on the scene. “I probably don’t have much time left, so tell my mom that I love her if I die,” he said. “I’m trapped inside my gold Honda Odyssey van. In the (inaudible) parking lot of Seven Hills Hillsdale. A short while later, a Hamilton County Sheriff’s deputy who was at the school to direct traffic said he wanted to look again. The deputy said he had only seen one van in the lot during his check but didn’t find anybody in it. Chief Isaac said later that that was probably the van Plush was in. The deputy and the operator continued talking about Plush’s 911 calls and what might have been happening. “That’s weird,” the deputy responded. They also talked about whether the whole thing might be a prank. Around the same time Plush was calling 911, the deputy had run into a woman at the school who was getting in his way. He wondered if that woman was up to something – especially since the first officers who looked for the van didn’t find anything awry. His dad found him at 9 p.m. that night, trapped in the van. Lifeless. So senseless. 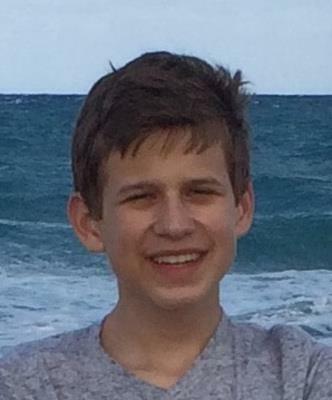 In the classroom, teachers saw a bright future for Kyle, a strong and independent student with a tender heart and a love for those around him. “Kyle’s gentle spirit made it a joy for others to be around him. We lovingly remember Kyle as creative, vibrant, and kind,” said Patty Normile. Visitation will be 2 p.m. to 5 p.m. Sunday at T.P. White & Sons Funeral Home, 2050 Beechmont Ave., Mt. Washington. Kyle’s funeral will be 9:30 a.m. Monday at St. Rose Church, 2501 Riverside Dr., East End. The family is asking for memorial donations to go to the Ronald McDonald House Charities of Greater Cincinnati, 350 Erkenbrecher Ave., Cincinnati, OH 45229. “Tell my mom that I love her”… a phrase that breaks the heart of every parent. 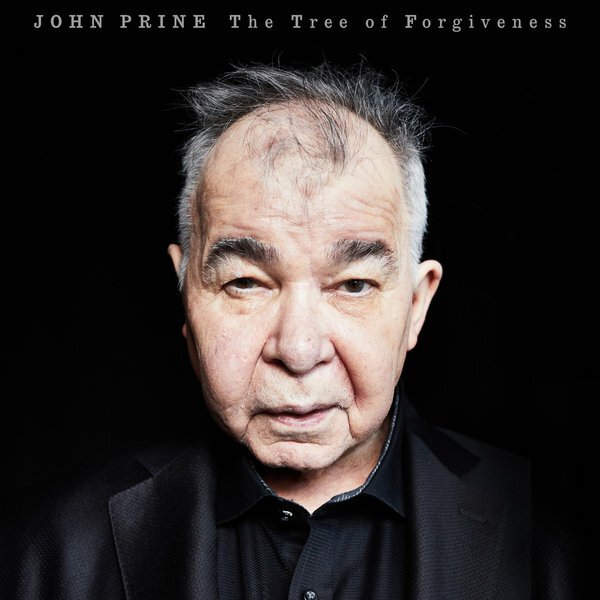 John Prine has a new album out tomorrow. Friday the 13th is our lucky day, because the new album is fantastic. Which is par for the course for Mr. Prine, a living legend who ranks right up there with Dylan and Townes Van Zandt in the songwriting pantheon. If the old adage about the Velvet Underground is true — they only sold 1,000 copies of their albums, but every person who bought one started a band — then for John Prine, every person who bought one of his albums became a songwriter. His music can best be described as “Americana” but really HE is Americana. A boy from the ‘burbs of Chicago, an Army vet, a former mailman, a cancer survivor, a folkie whose music is both timely and timeless. You can stream the entire album on NPR. You should stream the entire album on NPR. You must stream the entire album on NPR. It’s good for your heart and good for your soul.